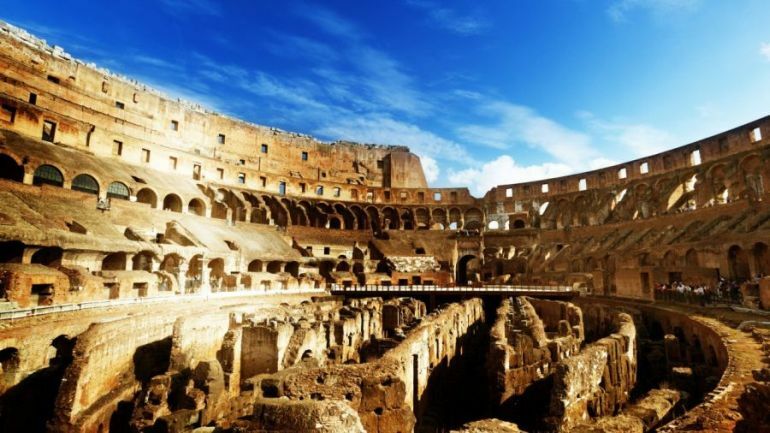 Blood, dust, sands and glory – these are the words that come to mind when traversing the pop cultural landscape of the Colosseum. 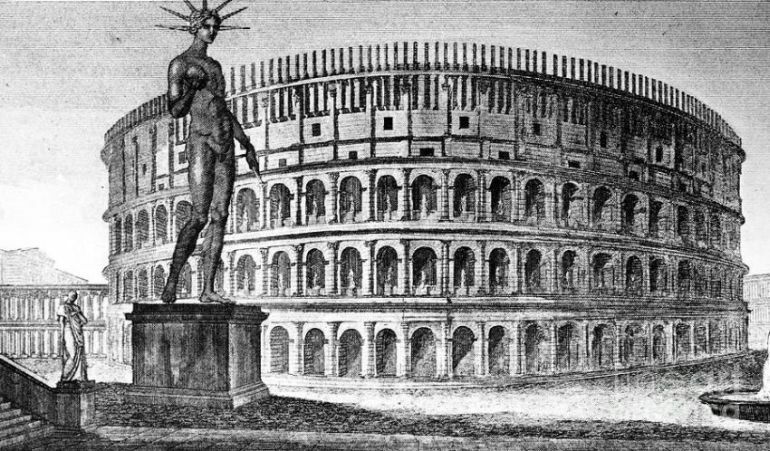 However from the architectural perspective, unlike other ancient theaters, the oval-shaped, freestanding amphitheater was a Roman invention. 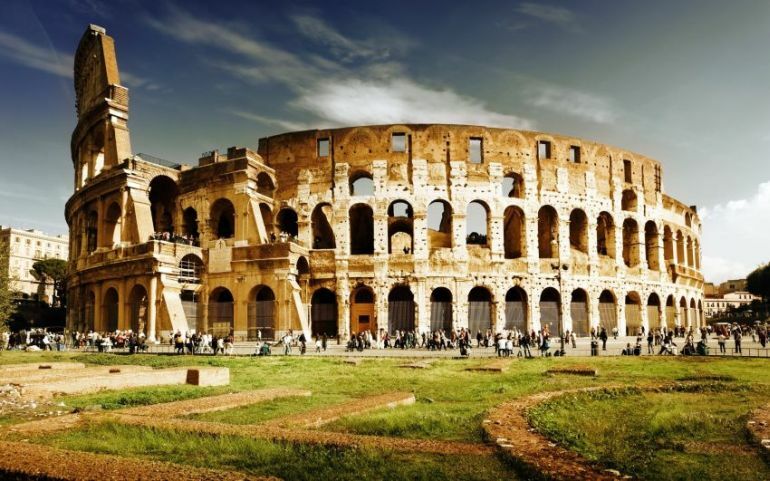 And as the jewel in the crown of such imposing Roman-made architectural specimens, the Colosseum holds its head high with the towering elliptical tiers that rise to 180 ft (55 m) from the heart of the ‘eternal city’. From those very seats, the ‘bloodthirsty’ audience watched on the impeccably choreographed mock battles, exotic animal parades and their merciless slaughtering, and the gruesome gladiatorial fights. But as far as history goes, there was more to this exalted arena, than just the collective ancient display of viciousness and pomp. To that end, the folks over at Altair4 Multimedia have digitally reconstructed this massive architectural wonder within the incredible scope of ancient Rome. While the video does a great job of providing the scale of this monumental amphitheater within Rome, we should also comprehend the sheer dimensions of this architectural masterpiece. 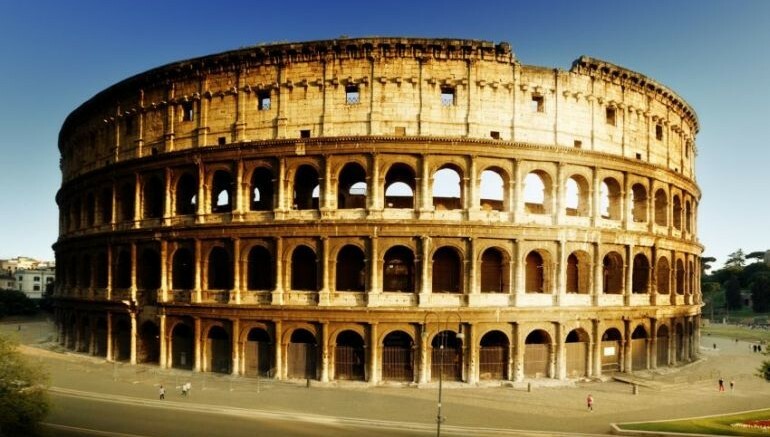 To that end, being elliptical in plan, the Colosseum is 189 m (615 ft) long, and 156 m (510 ft) wide – which accounts for almost 500 m (1,640 ft) in circumference, with a base area of 6 acres (24,000 sq m). The inner arena is similarly oval, with length of 87 m (287 ft) and width of 55 m (180 ft); while being surrounded by a 5 m (16 ft) high wall on all sides – after which the seat tiers started. As we mentioned before, these tiers ultimately rose to a height of 180 ft (55 m) – thus making the total volume of the Italian amphitheater a whopping 1,320,000 cubic m or 47 million cubic ft. So it comes as no surprise that during peak events, the Colosseum could possibly account for about 50,000 spectators. We should know that the Colosseum (or as it was originally known ‘Amphitheatrum Flavium‘) was (probably) funded from the spoils taken from the Second Jewish Temple in Jerusalem, during the brutally suppressed Great Jewish Revolt in 70 AD. In any case, the massive endeavor was undertaken during Emperor Vespasian’s reign, to demonstrate the value of a ‘public’ landmark, as opposed to self-indulgent projects of his much-despised predecessor – Nero. Quite symbolically (and also practically), the site chosen for the humongous arena was previously an artificial lake that was a part of the absurdly opulent Golden House (Domus Aurea) that Nero had built, fueled by his personal whim – which the animation actually showcases at the 2:15 mark. If interested, you can surely check out some superb 3D animations of the Domus Aurea in one of our previous articles. In an ironic turn of events, Nero still seemed have his revenge in death, since the name Colosseum itself is derived from the ‘colossal’ statue of Nero that stood in close proximity to the massive amphitheater (also fleetingly showcased in the animation). Scholars believe this famous term came into popular usage by 10th century AD, replacing Amphitheatrum Flavium or Amphitheatrum Caesareum. Oddly enough, during the construction of the building, Vespasian didn’t destroy the huge piece of sculpture; rather he had the head replaced with that of Apollo (which also had a solar crown – thus depicting the Roman equivalent Solis). Successive emperors kept on altering this head portion, while the main statue survived well onto the middle ages; and preserved with it a fair share of urban legends. 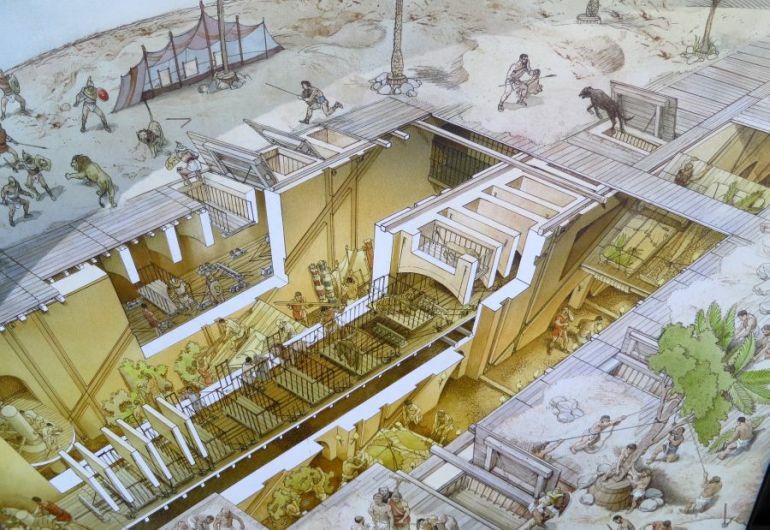 The deft internal layout of Colosseum was equally matched in sheer engineering aptitude. In that regard, the circulation pattern and the system of access points and corridors are astonishingly advanced for their age. 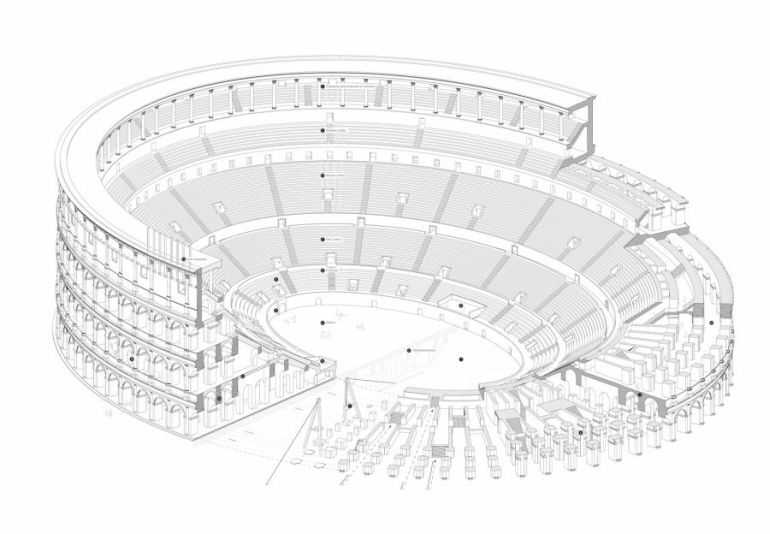 These spatial arrangements were tailored to crowd control, and as a result, the amphitheater could easily manage over 50,000 loud, cheering spectators in a clockwork-like manner. Some of these user/space patterns can be surmised from the seating arrangement of the stadium, which segregated the visitors based on their societal background. For instance, the senators, the equites, the plebeians and the poor folk were all seated separately, while even more specific social groups – like small boys with their tutors, foreign dignitaries and soldiers on their leave were given special places to sit.